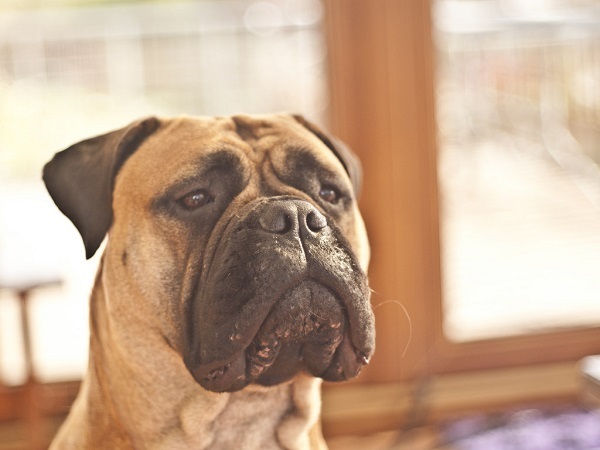 Dog acne or canine acne is an inflammation of the hair follicles. It usually appears around the chin though dog acne pictures of severe lesions have also been seen on the head and other areas of the body. Dog acne characterized by bleeding, itching and pus warrant an immediate trip to the vet’s as these cases need antibiotics for resolution. 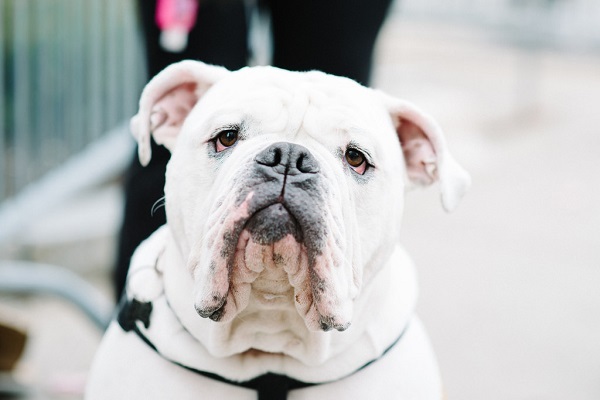 For mild cases of canine acne, you can use the home remedies described in this guide. Before we study what shampoo to use for dog acne, let us study what causes dog acne as well as its symptoms and ways of prevention. Early lesions with pustules, bullae etc around the mouth and lips. 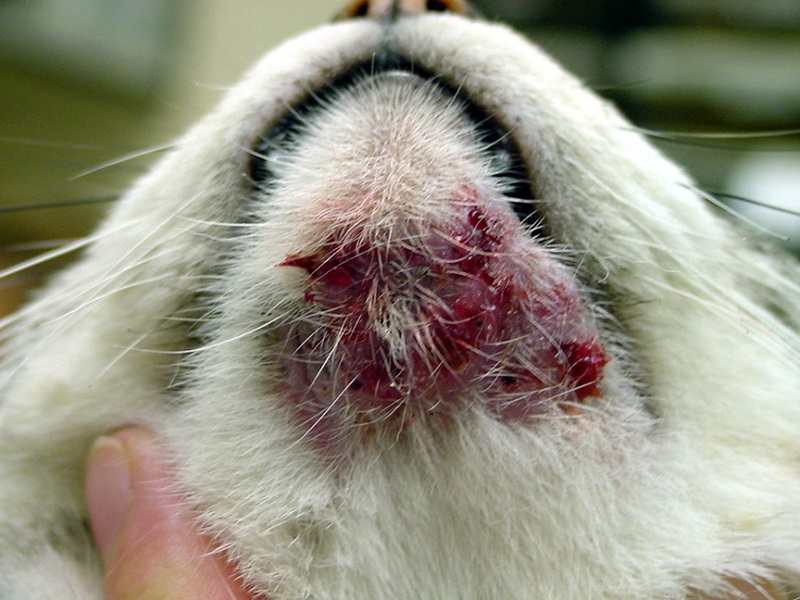 In severe cases, there may be ulcerated draining tracts with discharge around the chin or muzzle. A good vet will likely prescribe the same home care regime for dog acne as a dermatologist would to a teenager suffering from pimples. In many cases, dog acne occurs from eating from unclean pet food bowls especially those made from plastic. Throw out your dog’s plastic bowls and replace them with high quality stainless steel bowls. Wash and clean your pet’s food and water bowls every day. The same goes for the pets chew toys. Sanitize them from time to time. Dermatologists often prescribe benzoyl peroxide creams and gels for human acne. 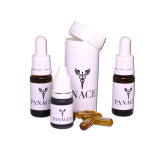 This medication is also useful in treating pet acne. You can readily buy dog acne shampoo containing benzoyl peroxide from the market. Your vet can also prescribe one to you. Use the shampoo to bathe your pet as you normally do. Wet up its coat and apply the shampoo concentrating on areas with acne. Work up a lather and allow the shampoo to work for at least 10 minutes before rinsing it off. You can also wipe down your pet’s chin, muzzle and mouth area with medicated Stridex pads or benzoyl peroxide cream. Make sure the pet does not lick the face after application. This might be difficult if the acne is concentrated around the lips. However, rest assured that the medicine will not harm your pet. Aloe vera gel is soothing for human acne and the same is true for canine acne. You can buy Aloe Vera gel from any drugstore or even use the fresh gel from the leaves of an Aloe Vera plant. Cut open the leaf and extract the gooey gel. You can whisk the gel with a fork and apply it all over the lesions. Aloe Vera is safe even if your pet licks it. Reapply the gel frequently until the acne goes away. Aloe Vera is especially useful for dog acne and hair loss as it protects the skin and prevents further hair loss and breakouts. Coconut oil for dog acne is a soothing, natural home remedy that can prevent the acne lesions from worsening. Thanks to coconut oil’s anti-inflammatory, antibacterial and antifungal properties, the acne is quickly healed without risk of pus and infections. Apply the coconut oil on the muzzle, chin and other areas where acne is present. Even if your dog licks the oil, it is okay. Coconut oil is completely natural and will not harm your pet. For best results, go for extra virgin, cold pressed and organic varieties only. Hydrogen peroxide for dog acne is a powerful remedy that kills the bacteria and prevents the acne from worsening. Use food grade hydrogen peroxide to wipe down the skin where acne is present. This remedy cleans up the hair follicles and eliminates sebum, bacteria and other debris which causes acne flare ups. Slipper elm poultice can draw out impurities from the acne lesions. Apply it to the pet’s muzzle and reapply every now and then as needed. Use this remedy with great care. Avoid using tea tree oil near your pet’s eyes or anywhere your pet could lick it. It is best to dilute tea tree oil with a bit of coconut or olive oil first before using it on the pet’s mouth. You can use a Q tip to apply the oil on the pet’s acne. Repeat as often as needed throughout the day. Continue using this remedy for a few weeks until all the acne is gone. This is a gentle, healing remedy for dog acne. It not only disinfects the skin but also regulates the skin’s sebum production. Apply carefully on the acne lesions 2-3 times a day. If needed, mix it up with comfrey tea or lotion to prevent acne scars. Trauma from chew toys can also cause canine acne. Remove these toys to prevent acne lesions. Hairless dogs like Chinese Crested and Xoloitzcuintli are highly prone to canine acne. To prevent acne in hairless dogs, exfoliate the skin gently using a medicated scrub. Also protect the skin from extreme cold or heat. Use a sunscreen when you take your pet outdoors. Also moisturize the skin using a vet approved skin cream or lotion. Dog acne, like human acne, is non-contagious. As stated before though, canine acne often causes symptoms similar to many contagious skin diseases including ringworm, demodex mites, etc. If you believe your pet has acquired the ‘acne’ from being in contact with other animals, you must have your pet examined by a vet to rule out these skin diseases. Hepar sulphuris 200C-This is a powerful remedy and you must use it only in very severe cases of dog acne. Speak to a homeopath about the dose. Sulphur Iodatum 6C – Use this remedy for dog acne and eczema with reddening of skin. You must administer it morning and night for at least one week to see results. Arsenicum 1M-For dry, itchy skin and acne which causes anxiety and restlessness in the pet. Use for 10 days daily. Ledum 6C-This is for dog acne and facial eczema with severe itching. Administer the dose 2 times a day for a week. 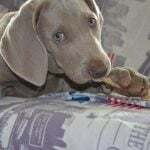 If the area is highly inflamed or infected, your pet might need antibiotics. Dog acne usually goes away within a week or 2 of starting treatment. Use the above remedies at least 2 times a day for a week until the pimples go away. 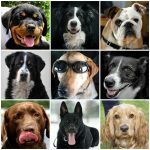 75+ Fun Dog Facts and Information That Will Blow Your Mind!